The Safety features have been revised and you can now read them online here. 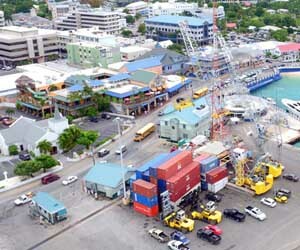 All offices of the Port Authority in Grand Cayman will be closed on Friday, 11th December 2009 from 12:00 noon. The night staff will start to work at midnight. Sorry about the inconvenience this may have caus..
You are cordially invited to celebrate Customer Appreciation Day on Dec 4, from 12 noon till 2 pm at the Port Authority Billing Office, Industrial Park. The Port Authority wishes you a Merry Christmas and a Hap.. The weather and lightning forecast are back online for Grand Cayman only. In order to see the weather, you go to Experience The Port menu then click on Weather. The issue causing an error instead of your list of outstanding BOLs has been corrected. We apologize for the inconvenience this issue has caused. 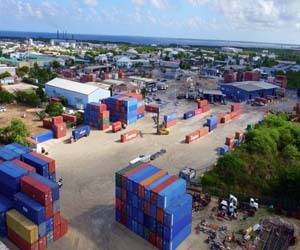 The Customs Department now has a new location on Portland Road, Industrial Park; behind the Port Billing Office. You can clear all sea cargo at this location. The following are the operational hours for all of Port Authority over the Easter Holiday weekend. Thursday, April 9, normal operations till midnight. Day crew works as normal. Night crew will work from 6:00pm.. Memorandum of Understanding between Atlantic Star Limited, the Ministry of Tourism, Environment, Investment and Commerce and the Port Authority. If you have a web account with us, you have the option to be notified whenever a BOL is created or modified. Login with your username and password and go to the "Customer Information" section. Chec..
Below is a list of changes to our regular work schedule due to the Christmas and New Year holidays. Please make arrangements to have your cargo picked up early as the Warehouse will be closed on some of the day..